(TibetanReview.net, Jan20, 2018) – The European Parliament at Strasbourg has on Jan 18 adopted an urgency resolution on China, expressing deep concern over the cases of two Tibetan political prisoners – language activist Tashi Wangchuk and the monk Choekyi – besides Chinese human rights activists Wu Gan, Xie Yang, and Lee Ming-cheh. The resolution called for immediate and unconditional release of Tashi Wangchuk, noting lack of evidence against him for the alleged crime of “inciting separatism” and citing irregularities in the criminal investigation. 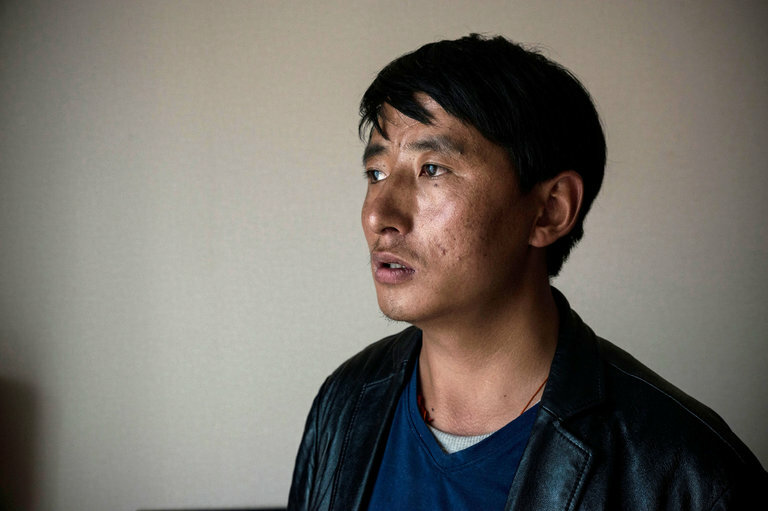 Tashi Wangchuk, a 32-year old Tibetan shopkeeper selling local products online, was held on Jan 27, 2016 after he appeared in a Nov 2015 video titled “A Tibetan’s Journey to Justice” published by the New York Times. The video documented his advocacy of Tibetan language education. He was tried this month on charges of “inciting separatism”. No immediate verdict was delivered. If convicted, he faces up to 15 years in jail. The resolution also called for “immediately and unconditionally” release of monk Choekyi. The Tibetan monk was arrested in 2015 and sentenced to four years on charges of conducting ‘separatist activities’. His crime was that he wore a shirt with the Tibetan text ‘kue-gya-ton-su’ (‘in honour of His Holiness’s 80th Birthday’). He is said to be in critical health condition.